Wisdom is one of the most valuable components any leader can possess – good judgment, unvarnished insight, and emotional intelligence are some of wisdom’s attributes. Do others consider you authentic, willing to say what is on your mind, and candid without sugar-coating insight? The people who choose to follow you want your shared wisdom, graciously helping them to develop theirs. Why are owls considered wise? Because they listen. Listen to others and help them learn and grow in their current path by offering the wisdom and insight you have gathered over the years. Be a powerful mentor and ‘modern elder’ who is willing to share as well as learn. Never stop learning about what fascinates you. It will keep you young and full of life and allow you to develop one of the most valuable components of leadership – wisdom. 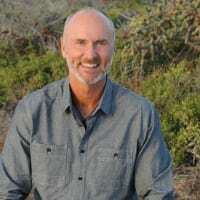 Learn more about Chip Conley by visiting his website or connecting with him on Twitter. You can also check out his new book, Wisdom at Work: The Making of a Modern Elder, by clicking here.